The Cosmic Healing: How to do Tarot for close friends and relatives? How to do Tarot for close friends and relatives? 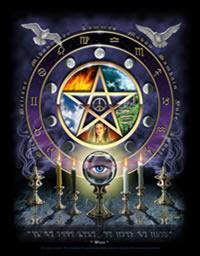 Tarot is very powerful and if not used wisely can actually corrupt the whole purpose of it. I have been doing Tarot for myself , my family and very close friends and it needs a lot of training to be unbaised and detached. Hence , I follow an approach which has been quite helpful. I tell my friends not to tell me the question , and I shall give a generalised prediction and they should try and relate.If they cant relate I ask them to remember what I said and later on we dicuss it. She was happy and could really relate to the cards well! !